Provide comfort for the family of Mary Birckhead with a meaningful gesture of sympathy. Mary Mae Birckhead (nee Brammer), age 84, of Towson, Maryland, formerly of Randallstown, MD, passed away on Friday, March 29, 2019 at Gilchrist Hospice Care in Towson, MD. Mary was born March 19, 1935 in Worthington, West Virginia, the daughter of the late Okey Everett Brammer and the late Myrtle Mae Brammer (nee Sunderman). She was the wife of Woodrow F. “Woody” Birckhead. She was a Registered Nurse for the Baltimore County School System. She was a member of the Holy Comforter Flower Guild. Loving mother of Kimberly Bowden and husband George, Cheryl Thim and husband Brian, Woodrow “Chip” Birckhead and wife Kelly; grandmother of Kendyl Holt, Emily Bowden, Austin Thim, Chloe and Brooke Birckhead, and a great grandson Dawson Holt. Friends may call at the Church of the Holy Comforter, 130 W. Seminary Ave., Lutherville, MD 21093; on Tuesday, April 2, 2019 from 11:00 AM- 12:00 Noon; Where Funeral Service will begin at 12:00 Noon with Fr. Chris Tang officiating. Reception to follow at the Church. In lieu of flowers, Memorial Contributions can be made to: Church of the Holy Comforter. To send flowers in memory of Mary Mae Birckhead (Brammer), please visit our Heartfelt Sympathies Store. Following Funeral Service In lieu of flowers, Memorial Contributions can be made to: Church of the Holy Comforter. 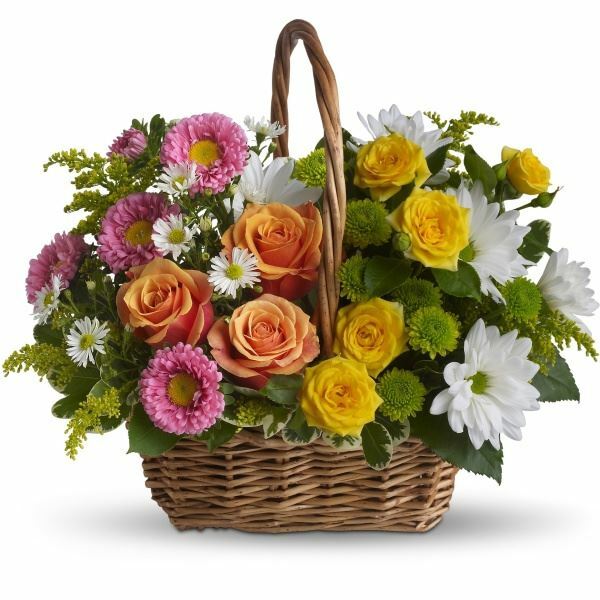 Provide comfort for the family of Mary Mae Birckhead (Brammer) by sending flowers. Aunt Mary was a wonderful part of the lives of our family. She was always wise , with a listening heart. Aunt Mary Mae and her family welcomed us lovingly at every occasion , every visit. Our deepest condolences Woody, Kim, Cheryl and Chip. Heartfelt Sympathies Store purchased the Sweet Tranquility Basket for the family of Mary Birckhead. Sent with love and remembrance, Love to all. Erin, Darin, Delia, Jimmy Fields and Gloria Casey.